Marcasiano’s current series of paintings is inspired by Afro-Brazilian culture and West African Wax print fabrics. The two themes of the series are, Iemanjá, the Candomblé Oríxa of the sea and Tropicália, the Brazilian art and music movement of the late 1960’s. 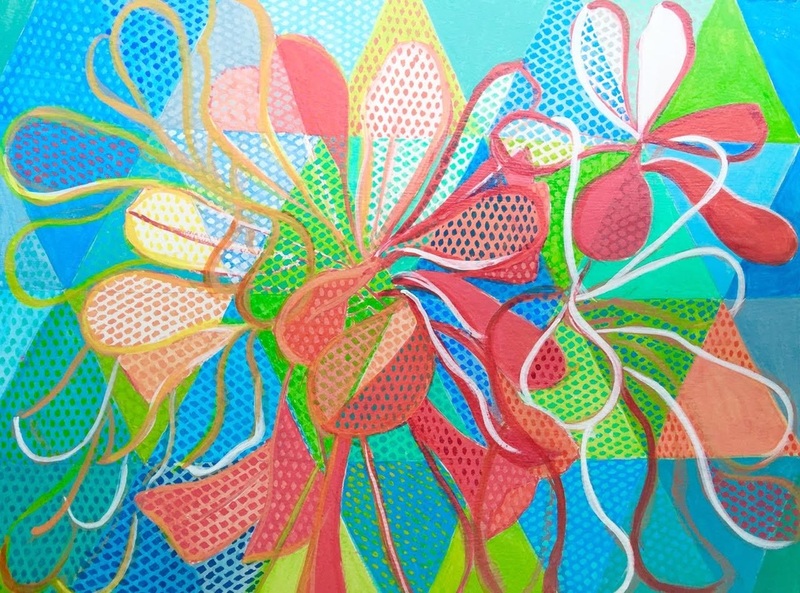 Marcasiano works in the medium of egg tempera on gesso paper and board to achieve her textile like patterns.